There are many other systems that make up the human body. However, it is the basis of our analysis that all the other parts of the body are under influence of these twelve. These are what we call the primary twelve. The other parts of the body are secondary. There are twelve primary meridians which are paired and run symmetrically on each side of the body. Each meridian is a channel that conducts energy. The meridian system dates back thousands of years and is the foundation for traditional Chinese Medicine. The twelve meridians interconnect all aspects of the body much in the same way that the circulatory and nervous systems do. What makes the meridians unique is that unlike your nervous and circulatory systems which are visible, the meridian system is not visible. Along individual meridians are specific areas from which energy enters and leaves the meridian channels. Some of these areas are called acupuncture points, alarm points, or organ localization points. By using a specific point, our doctors can detect if there is an imbalance of energy in a specific meridian, which would indicate that the organ or system associated with that meridian is in need of nutritional and/or herbal support. Have you ever had hay fever or a runny nose? Are the symptoms associated with these two conditions a disease of the nose? Of course not! Why then are most treatments directed at stopping the symptom? Is constipation the symptom or the result of another system, such as the liver, not doing its job optimally? With M.R.T., we do not treat symptoms. It is the body that gives us a feedback as to where treatment should be directed. What a simple concept! However, it is one that has been lost. With M.R.T., we do not treat the symptoms or disease entity. Once an energy imbalance is detected, the appropriate nutritional and herbal remedies are then prescribed. The body does the rest. Your role in this is to take the supplements as prescribed both in dosage and frequency. If any lifestyle changes are needed, our doctors and nutritionist will guide you and make the appropriate recommendations. Too many people today view their health and life as destinations. They are, in fact, individual journeys. Have you ever said, “When I get to this weight, things will be different” or “When I retire, I will do this and relax?” Most people think that health is an endpoint, it isn’t. 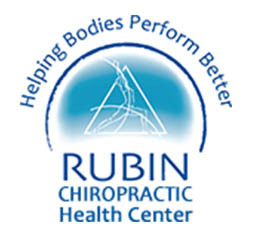 We, at the Rubin Health Center, will help you on your journey to better health. The road, however, may be a winding one. On your quest for better health, you will be on a regimen of taking your supplements and perhaps making some lifestyle changes. There may be times when you get off the regimen and fall off course in your journey. Many people encounter this, it is only human. This does not mean you should give up and abandon your quest for good health. It means you will just need to get back on track. It is important to remember that most health conditions took time to develop. Since the supplements you will be taking are not drugs, we are not forcing the body to do anything. We are feeding the body very concentrating nutrients that the body needs on a cellular level so it can function in an optimal manner. This optimal functioning takes time, so be patient. Remember, better health is a journey, not a destination.